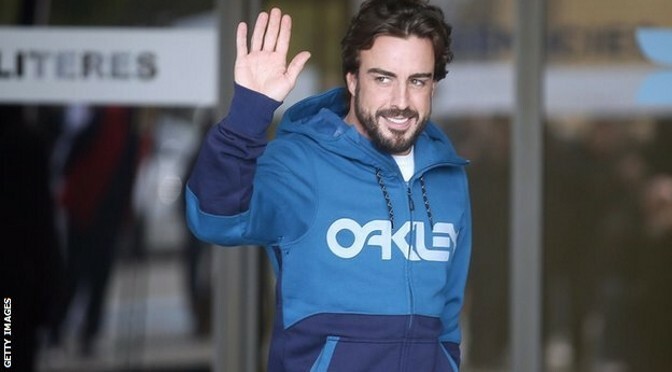 Fernando Alonso will not compete at the Australian Grand Prix on the recommendation of doctors as he continues to recover from his testing crash in Barcelona. Alonso spent three nights in hospital after being knocked unconscious during the second test and sat out the final four days in Barcelona on medical advice. McLaren said last week the Spaniard had yet to be cleared for the race but remained confident he would be. On Tuesday McLaren confirmed tests had found “no evidence whatsoever of any injury” but that doctors had recommended the Spaniard sit out the opening round of 2015 to minimise the chances of second impact syndrome. The statement said doctors had conducted “an exhaustive series of tests” which found him entirely healthy from a neurological and cardiac perspective. The statement went on to say: “Fernando’s doctors have recommended to him that, following the concussion he sustained in a testing accident at the Circuit de Barcelona-Catalunya on February 22nd, for the time being he should seek to limit as far as is possible any environmental risk factors that could potentially result in his sustaining another concussion so soon after his previous one, so as to minimise the chances of second impact syndrome, as is normal medical procedure when treating athletes after concussions. Reserve driver Kevin Magnussen, the man Alonso replaced last December, will replace the Spaniard for the season opener. McLaren says doctors are supportive of Alonso’s ambitions of returning to the car for the second race in Malaysia. 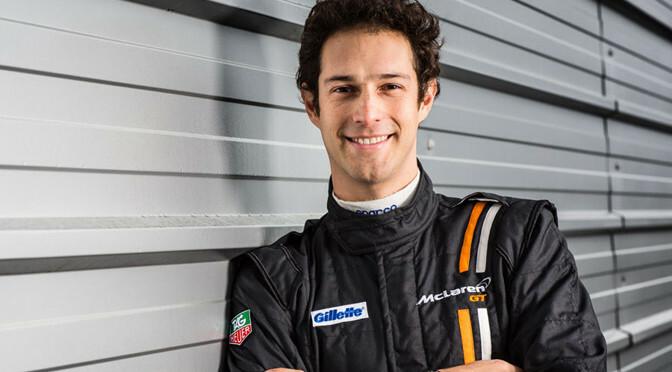 McLaren GT has signed former F1 driver Bruno Senna to its factory roster for 2015. The Brazilian, whose late uncle Ayrton Senna who won three drivers’ championships during an iconic tenure with the McLaren marquee, joins Alvaro Parente, Rob Bell and Kevin Estre. Senna will undertake development duties with the new McLaren 650S GT3 racer and Sprint model, as well as racing in select events. Senna spent three years in Formula One but failed to live up to the lofty expectations attached to his surname, though he has since raced in the World Endurance Championship and Le Mans 24 Hours as well as competing in the inaugural Formula E championship season. 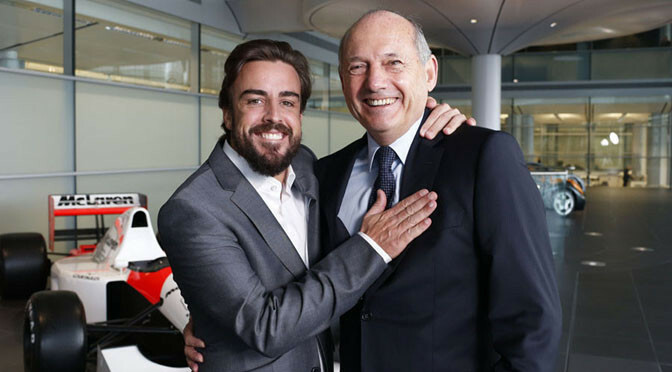 “It is a great honour for me to be joining McLaren; a team my uncle enjoyed such huge success with, and one of the most famous names in motorsport,” Senna said. 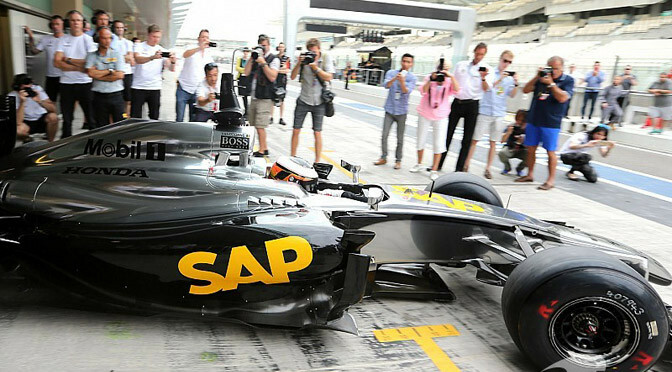 “2015 is a big year for the whole of McLaren, and it is an exciting time to be part of everything that is taking place. Senna raced a predecessor of the 650S, the McLaren 12C GT3, at the 24 Hours of Spa in 2013. 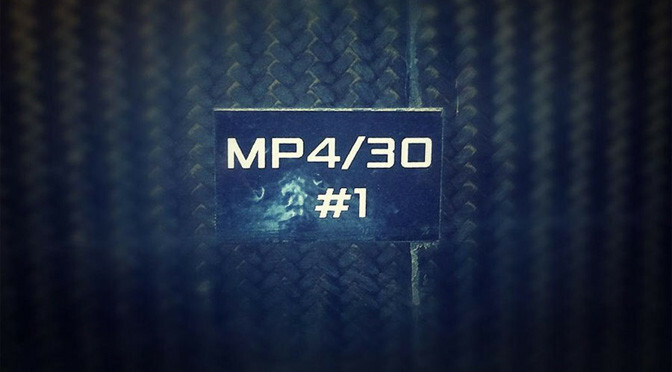 McLaren-Honda’s hotly-anticipated MP4-30 was revealed to the world via an online launch ahead of the new car’s first test in Jerez next week. The MP4-30 marks a new era for McLaren as it returns to Honda power and welcomes Fernando Alonso back to the team. The exclusive engine deal will see McLaren go its own way with Honda power after 20 years of working with Mercedes and carries the hopes of future championship success for both Alonso and Jenson Button. The MP4-30 features an elegant solution to F1’s new nose regulations rather than the stubby ‘thumb’ interpretation seen on the latest Williams and Force India. The team claims the rear of the car is more tightly packaged, especially around the gearbox, although cooling remains one of the biggest challenges for all teams under the current engine regulations. Little is known about the new Honda power unit and it has only completed very limited mileage at a filming day and during a two-day post-season test in Abu Dhabi last year. 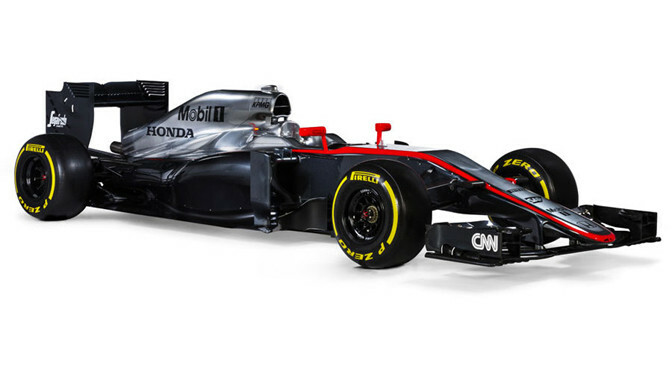 However, team boss Ron Dennis is confident the Honda partnership will bring the team back to the front of the grid. “McLaren Technology Group is driven by the relentless pursuit of technological perfection, and, perhaps more than any other element of our portfolio, Formula One, which is the remit and responsibility of McLaren Racing, and now McLaren-Honda, most famously epitomises that,” Dennis said. Fernando Alonso will be the first man to test the new McLaren car as the team begin their engine partnership with Honda. 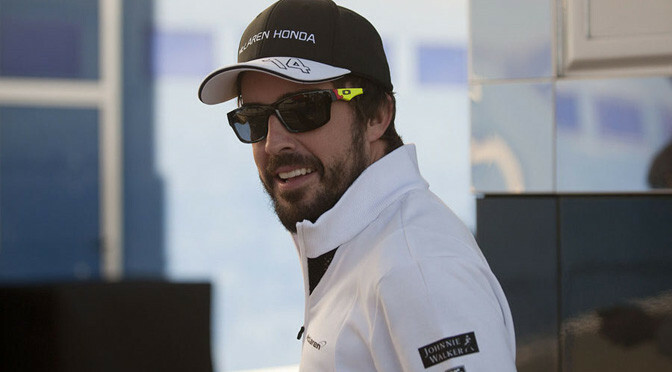 The Spaniard will drive the MP4-30 on the first day of the first pre-season test, at Jerez, Spain, on 1-4 February. Team-mate Jenson Button will test it on the second and fourth days, with Alonso driving on the third. Alonso, 33, who has joined from Ferrari, wrote on social media that he was “ready to enjoy the challenge”. McLaren are taking a similar approach to testing to Mercedes, for whom Nico Rosberg drives on the first day of testing before alternating with world champion Lewis Hamilton thereafter. McLaren will unveil their new car online on 29 January, a day before the wraps come off the 2015 Ferrari, also via the internet. Mercedes are to wait until the morning of 1 February before revealing their new W06. Williams on Wednesday became the first team to release images of their new car. New year, new colours according to reports. At least two top teams will enter the 2015 season with fundamentally different colour schemes, it has emerged. Spain’s El Mundo Deportivo reports that new reigning champions Mercedes intend to switch from silver to a striking mirror-like chrome paint-job this year. The report said the special chrome paint for the 2015 livery is called ‘Kromo’, and will also be supplied to wheel supplier OZ for the title-defending W06 raced by world champion Lewis Hamilton and Nico Rosberg. The same Spanish sports newspaper reports that with Mercedes stepping up its iconic silver look, Woking based McLaren is tipped for a complete livery U-turn in 2015. 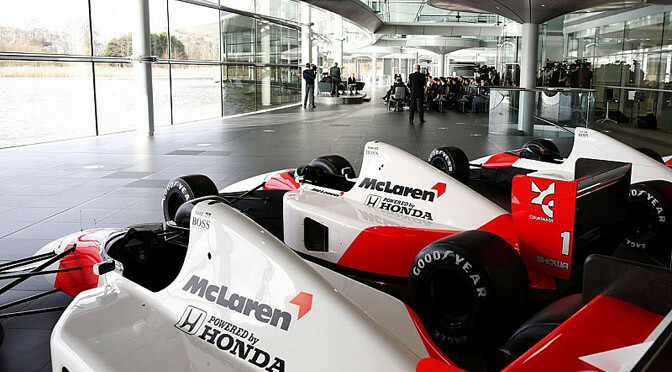 McLaren turned silver in 1997, at the height of its works collaboration with Mercedes, but now the famous British team is kicking off its new era with Honda. El Mundo Deportivo reported: “Honda does not want (McLaren) to continue with silver because it is a colour immediately associated with Mercedes and the ‘Silver Arrows’. “There are rumours the (2015) car could be orange, McLaren’s traditional colour, for testing. But it could also be white, in a double-tribute: to Honda and also because McLaren’s first F1 car was that colour” in 1966. 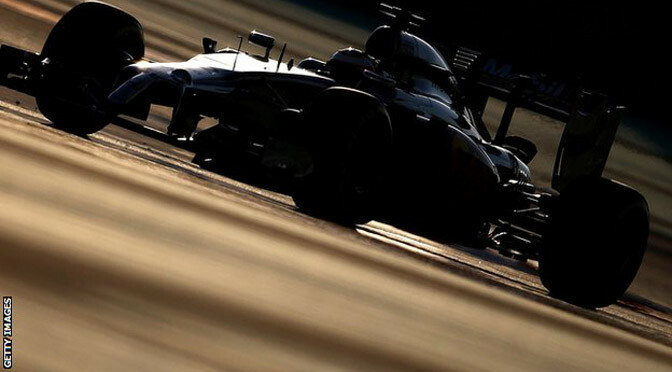 “The final choice could depend largely on whether McLaren has a major sponsor in 2015 or not,” the report added.